You were redirected to https://www.bankmillennium.pl/about-the-bank/the-foundation/events/financial-abcs-for-200-kids-from-lublin . Bank Millennium Foundation conducted the “Financial ABCs” workshop for 200 kids in Lublin – taking part in the “Business-Smart Kids” project done by the Lublin Town Hall and Maria Curie-Sklodowska University. “Financial ABCs” is a proprietary programme of Bank Millennium Foundation carried out under the patronage of the Minister of Education and the Children’s Ombudsman. During the workshops conducted in the programme kindergarten kids learn basic concepts from the world of finances, find out where money comes from and what their value is and also see the benefits involved with saving. 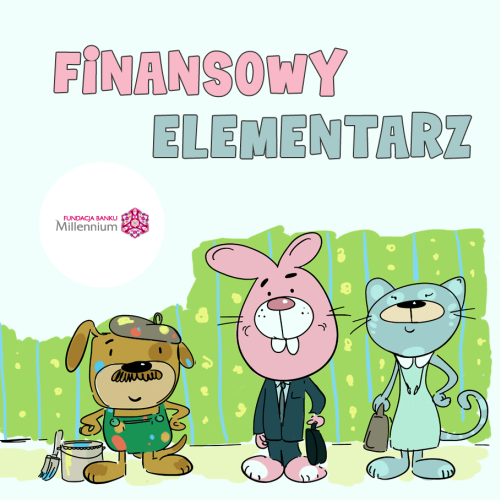 We are very glad that in partnership with the Lublin Town Hall we can help children understand the basic concepts from the world of finances. – Iwona Jarzębska, Chairman of the Bank Millennium Foundation, emphasised. We have extensive experience with financial education classes for kindergarten kids. Since 2016 during almost 600 workshops the Foundation educated almost 15,000 children from 200 kindergartens all over Poland. The “Business-Smart Kids” programme done by the Lublin Town Hall and Maria Curie-Sklodowska University is to make children familiar with basic financial concepts and to teach them resourceful attitudes. In the future these skills will be useful on the labour market and help in development of a professional career. Taking part in the project are already kindergarten kids introduced to the world of finances by Bank Millennium Foundation. With this project we want to develop resourceful attitudes in the youngest population of Lublin, to give them the courage to reach their own goals and dreams involved with their future professional life and develop a knack for creativity and innovation. – Krzysztof Żuk, Mayor of Lublin, said. The “Financial ABCs” workshops engage volunteers – employees of Bank Millennium. For purposes of the programme, also with help of bank staff, special educational materials were prepared – including booklets, which are available also in kids’ corners in the Bank’s branches. In the long run Bank Millennium Foundation wants to extend the programme to cover chosen kindergartens in Poland.